My friend wanted to decorate her apartment for her son’s video game themed party. Minecraft is one of his favorites, so going off the coin blocks from the Mario Party, I decided to make big Minecraft blocks. 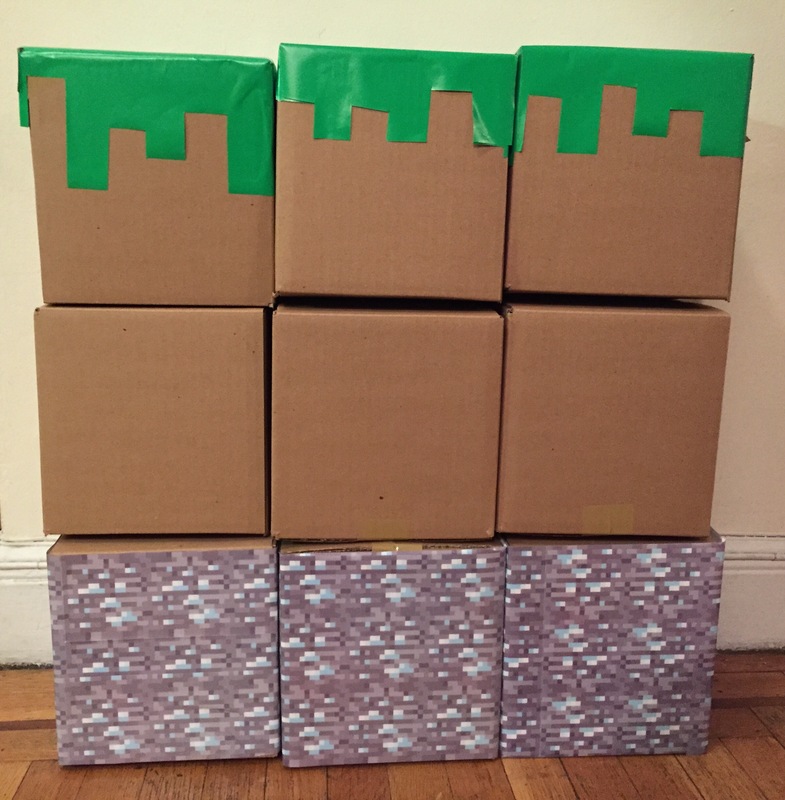 Using wrapping paper and 8x8x8 boxes, I came up with three types of blocks–grass, dirt and diamond. You can buy Minecraft diamond wrapping paper at Amazon. There are three sheets to a pack and it’s enough to wrap eight 8x8x8 boxes if you slightly overlap the remaining scrap strips. The pattern is busy enough where you can’t tell that you’ve pieced it together.